Every first friday of the month we host a clinic, since the beginning of november we have been hosting the clinic at our office. For the last seven years we have been working alongside an organsation called ACHERU- (Affayo child health education rehabilation unit)!! 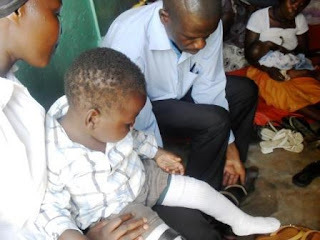 There team has been an amazing blessing to us in helping us work with children who have club feet and cleft pallets. In december over 50 children turned up to our clinic!! 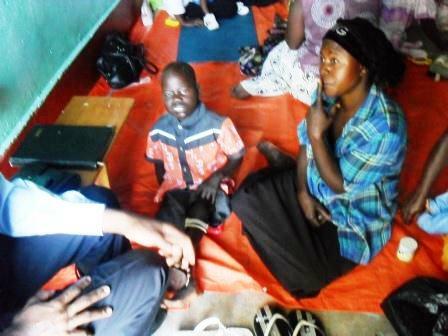 Member of ACHERU team advising parent on child's foot.